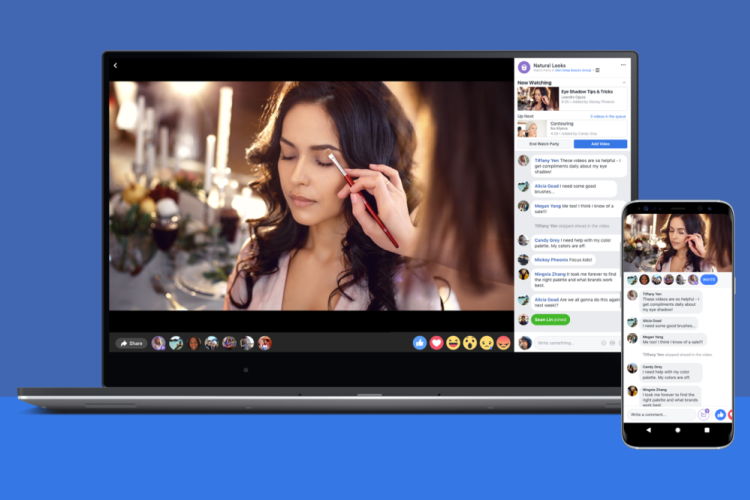 Facebook has launched a new feature called ‘Watch Party’ that allows members of the social network’s groups to watch videos on Facebook together in real time, and comment. The launch of this feature on Wednesday after about six months of testing reveals Facebook’s plans to go aggressive on the video streaming space that could help the social networking giant to compete against Google’s YouTube. “Once a Watch Party is started, participants can watch videos, live or recorded, and interact with one another around them in the same moment,” Erin Connolly, Product Manager at Facebook, said in a statement. To utilise this new feature, members of any Facebook group need to search a video on the platform and invite others to join them. A chat window then opens up for the members to have a discussion on the video as it plays. On the global launch of the feature, Facebook also added two new features that were not available at the test phase. It added a co-hosting feature, which lets the host of a Watch Party designate other co-hosts who can add videos and keep the party going. Facebook also added crowdsourcing feature, which allows group members to suggest videos for the host to add to the Watch Party. Facebook also revealed that Watch Party will not be limited to Facebook groups alone. It is now planning to roll out the feature for Pages, which generally refer to profiles of public figures and other organisations. “We are now starting to test the ability for people to start Watch Parties with friends outside of groups, too, and we’ll explore Watch Parties for Pages in the future,” Connolly said. “We believe that if people can start a Watch Party directly from their profile or from a video they’re watching, the experience of watching video on Facebook can become even more fun and social,” Connolly added. The social networking giant, however, did not disclose if the feature would be made available for regular profiles anytime soon.